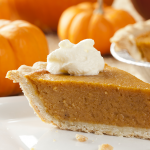 With the holiday season here and pumpkin baked goods and foods still going strong, people are turning to the familiar canned variety for all their pumpkin desires. 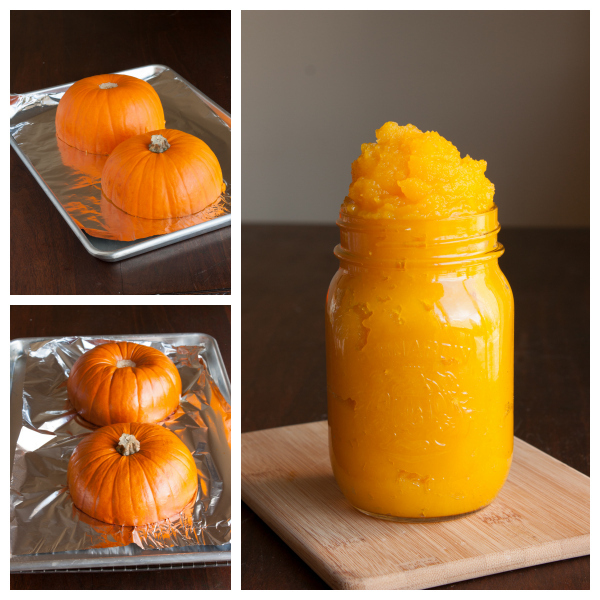 Lisa from The Viet Vegan asks, “Why eat canned when you can eat fresh pumpkin?” It’s so easy to make your own and freeze it for later! 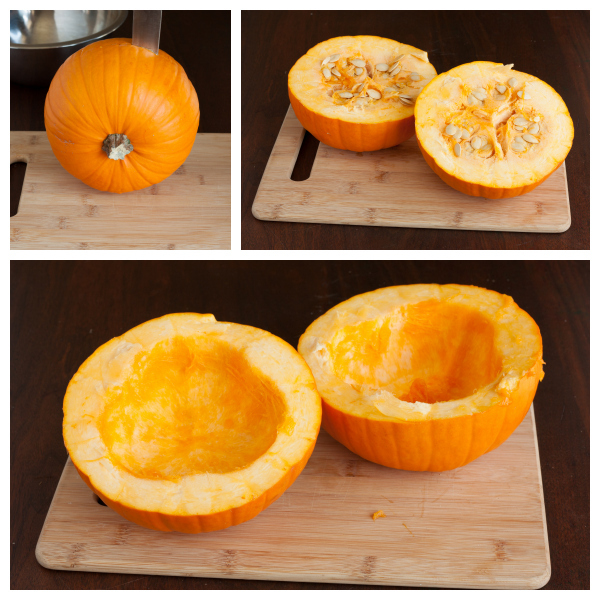 With sugar pie pumpkins in abundance during the holiday season, make your own pumpkin puree with Lisa’s photo tutorial. 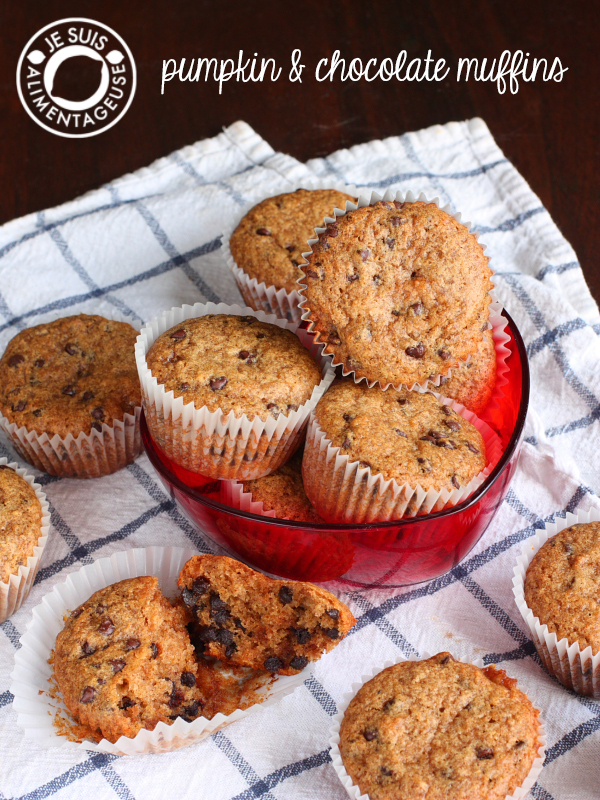 Use your homemade pumpkin puree in both sweet and savoury applications. 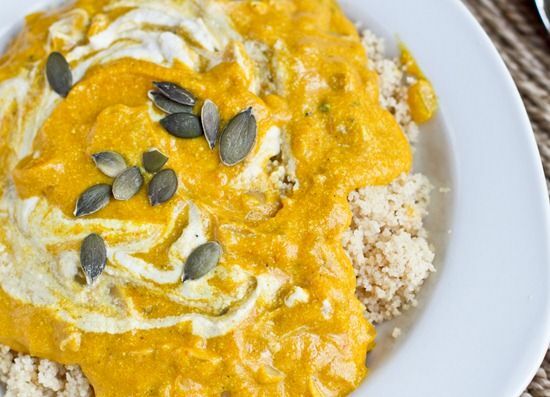 Try using your homemade pumpkin puree in these recipes: both sweet and savoury! Wash pumpkin and pat dry. 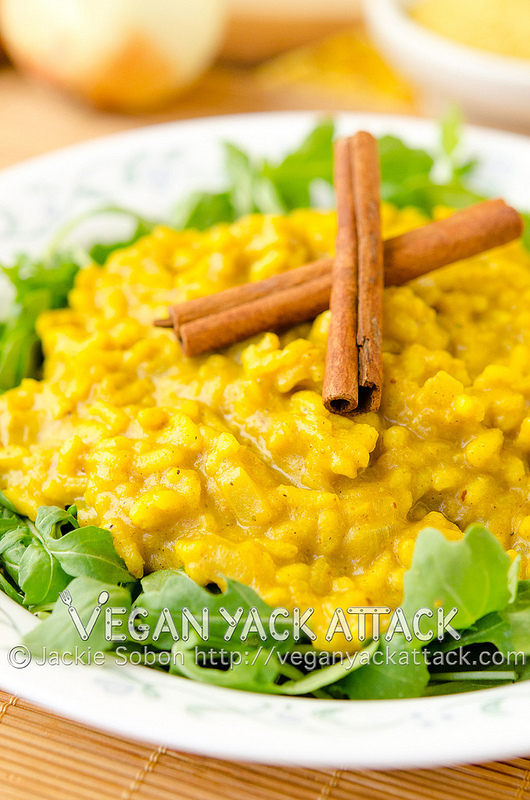 Cut in half and scoop out seeds and stringy flesh. Line a baking pan with aluminum foil, then place both halves on top, cut-side down. 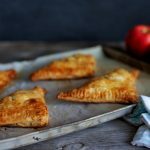 Cover with aluminum foil and bake for 90 minutes. The pumpkin should be fork-tender or you can poke the skin of the pumpkin and if it gives way easily, it should be done. Scoop the cooled flesh into a food processor, discarding the stem and outer skin. Purée until smooth. 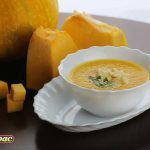 To achieve the consistency similar to canned pumpkin purée, strain the pumpkin purée through a mesh sieve or a cheesecloth. 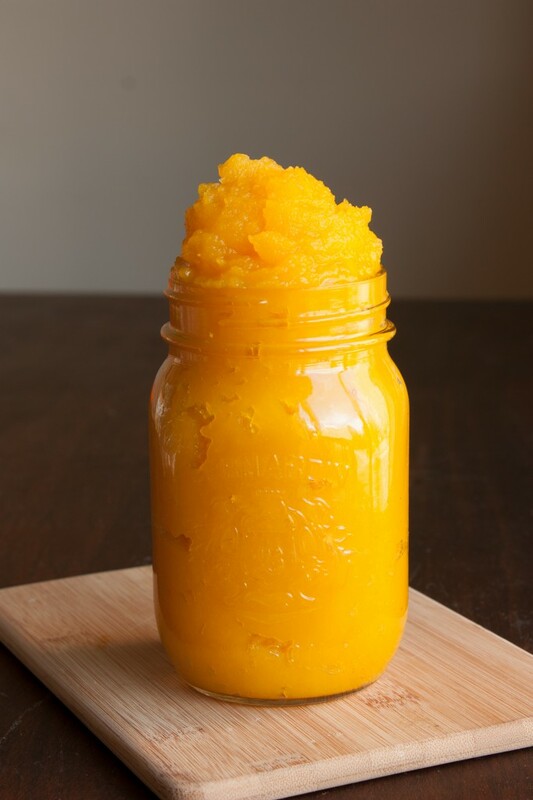 You will extract around 1 cup of liquid, producing more concentrated pumpkin purée that has a similar consistency to canned pumpkin purée. Store in a jar or air-tight container for up to 1 week. 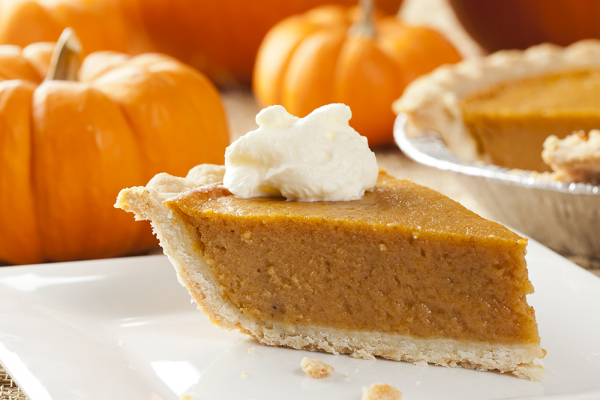 Use just like you would use canned pumpkin.